Where damp is present in a home, it is usually as a result of high humidity in the air. Humidity depends on water content and temperature of the air. If the air temperature is higher it can hold more water, a lot of which needs to be removed from the home to prevent it condensing onto cold surfaces as the air cools (e.g. at night when heating is reduced). Us: we breathe out a lot of moisture, and also sweat turns to vapour surprisingly quickly. An interesting exercise is to place your hand into a plastic bag and seal it around your wrist, completely enclosing your hand. Within minutes your hand will feel warmer and the bag will start to ‘steam up’ as water vapour from your hand condenses on the inside of the bag. Other major activities that send litres of water into our indoor air are clothes washing and drying in the house, showering, cooking. If this moisture isn’t released into the outside air it will build up, resulting in your home becoming damp. The first clue is often windows dripping with condensed water. Most of us open windows to release the excess water vapour, closing them again once all is dry. Under some circumstances this is impossible: eg. in below ground-level basement areas of your home. 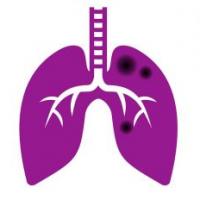 If ventilation cannot be improved in these areas, then a dehumidifier can be used in an attempt to reduce air moisture. The effectiveness of a dehumidifier in reducing humidity was studied in a paper by the Canada Mortgage and Housing Corporation. Thirty basements were studied throughout the year, and it was concluded that they were effective at preventing peaks of humidity in the summer months. However the dehumidifiers used for the study were powerful, with a water removal capacity of 31 litres per day (1.3 litres an hour). At peak use they were removing up to 750ml of water per hour from the air. To cut energy use (>250-300W ~ 60-75p per day in the UK) each unit was controlled by a humidistat that was set at 50% Relative Humidity (RH) – once it reached this ideal humidity it turned off, saving part of the daily cost. 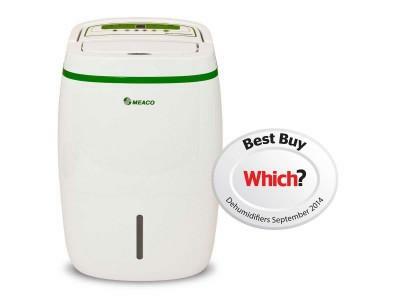 However, many of the dehumidifiers available for sale in the UK are cheap and have very low capacity, so could not be expected to perform as well as the units used in this study. If you have a problem with damp in your home, and you think a dehumidifier could help, you need to make sure you choose one powerful enough to deal with the problem. Those with the capacity and features mentioned in the study cost around £250 for use in a single basement. Smaller, cheaper units are are available to buy, as they store less water and must be emptied more frequently – but as a rule of thumb they should still have the same rate of water removal – at least 20 litres per day at 30°C and 80% RH. NB other small devices use absorbent materials to collect water. These are generally also of low capacity and suitable only for small areas of the home. NOTE: as with any device that attracts water, dehumidifiers need to be cleaned regularly to avoid fungal growth. Dehumidifiers will work well to reduce damp as long as they have a high enough capacity to perform well in the area required. Expect to pay >£100 for a small unit. They are expensive to run (~£20 – 30 per month), even for quite small parts of your home, although the majority of the most powerful units switch themselves off automatically when ideal humidity is reached, reducing costs somewhat.